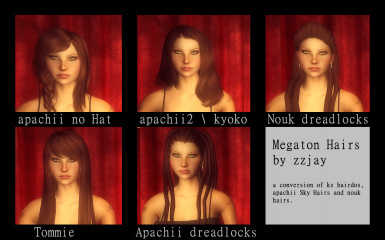 Remake of my old nouk and apachii hairstyles.Includes now a couple of ports from KS hairdos too. 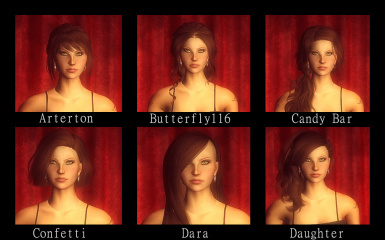 Ade, Alesso, Anto, Darko, Geisha, Hal's Archive, Jakea, Karzalee, Kijiko, Lapiz, Leah Lilith, Momo, NewSea, S-Club, Sintiklia, Sky, Stealthic, Peggy, Raonjena, Wings, XM and Zauma for the permission to release their hairstyles. Hellosanta for her textures, which have been used as a resource for the hair textures. Please UNINSTALL and DELETE all files from that mod. 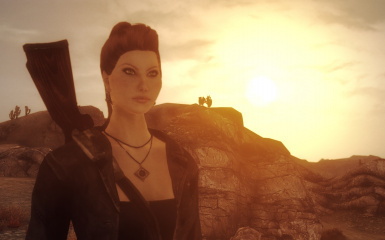 This mod adds several hairstyles to all VANILLA female races. 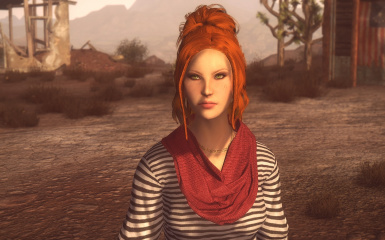 it's an hairmod,so ALL rules apply to this one too. Most of the hairs do not have EGMs. Egm files are a precursor to tri files.They will adjust the shape of the hair to the one of the head. 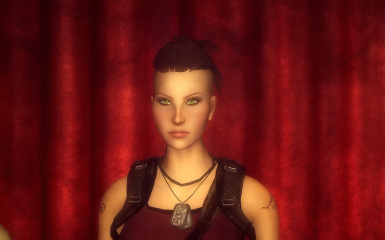 Since there's no way to modify egms in blender,there's no way to limit the deformation to the forehead. This means they'll adapt to every slider in the game with catastrophic results. However if you are a fan of big foreheads you can use this simple tool and craft your own EGMS. There'll be a tutorial IF requested. 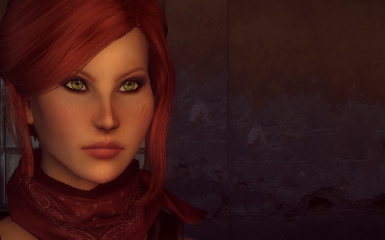 What face mod are you using? and this is the race mod used. How to add hairs manually? 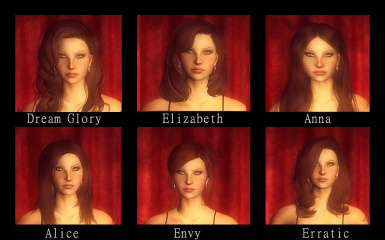 I recommend you to add them in your own beauty mod such as "Project Mikoto" or "Lings choiffeur",if your custom race is COMPATIBLE with them,otherwise just add it to the custom race esp file. 1 - Open the G.E.C.K. 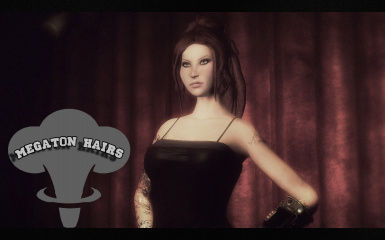 of Mikto female Hairs with those provided by this mod. Make sure to set "playable" and do not set "fixed color". 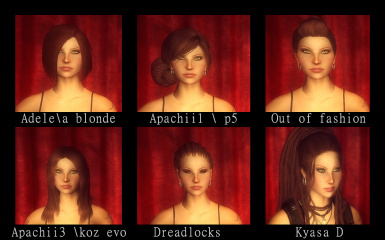 5 - Add the newly created hairstyles into the race tab called "FACE DATA". REMEMBER THAT YOU CAN ONLY HAVE ONE MOD AT A TIME EDITING THE SAME RACE. Otherwise the effectsof the second mod will not show in game. Nightcrawler, HelloSanta and Apachii for "base texture"